Join The Maryland Zoo in Baltimore and enjoy free, unlimited visits for one year. A basic membership pays for itself in less than 2 visits! Join the Maryland Zoo and enjoy free, unlimited visits for one year — plus, discounts on guest passes, discounted admission to more than 150 other zoos and aquariums, Member Mornings with early Zoo entry, discounts on Zoo Camps and events, and in Zoo gift shops, special Zoo Member Benefits, and more! Members can ZooMORE! For $19 per person, you can now add unlimited train & carousel rides to your membership for a full year! Questions? 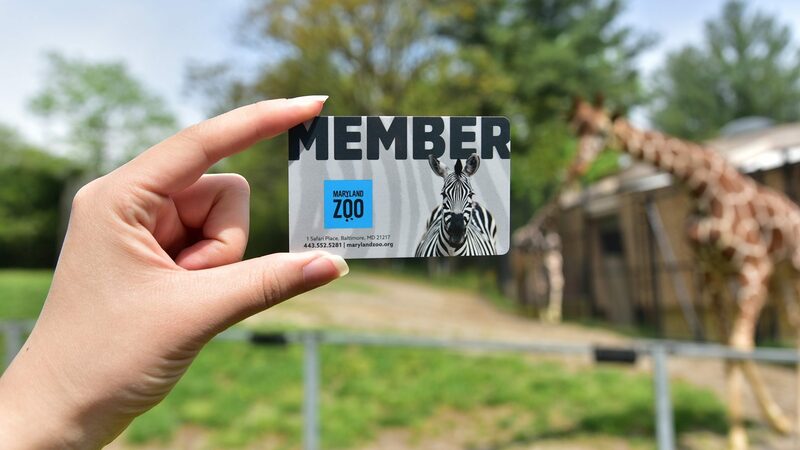 Please contact our Membership Office at 443-552-5281 or membership@marylandzoo.org and a Membership Agent will be happy to assist you.